Samsung's sales of the Galaxy Gear smart watch are far below expectations, according to a new report from BusinessKorea. Daily sales are pegged at 800-900 units and cumulative sales are reportedly under 50,000 units. The company is also seeing poor sales of its new Galaxy Round smartphone. Daily sales are reportedly under 100 units and its cumulative monthly sales fall under 10,000 units. The related industry evaluates the purpose of Samsung’s rushed release of the Galaxy Round as not for large sales, but as a test product to earn the reputation of creating the world’s first flexible smartphone. In fact, Samsung was aware of this, and did not initiate global sales. It also decided not to produce any more units after the initial 50,000. Unlike the Galaxy Round, the Galaxy Gear did receive global marketing; however, it failed to impress reviewers. Apple is widely expected to come out with a smartwatch of its own; however, it's said that the company is working to resolve battery life issues with the device. A recent report alleged that Apple is working on two versions of the iWatch, a 1.7-inch model for men and a 1.3-inch model for women. 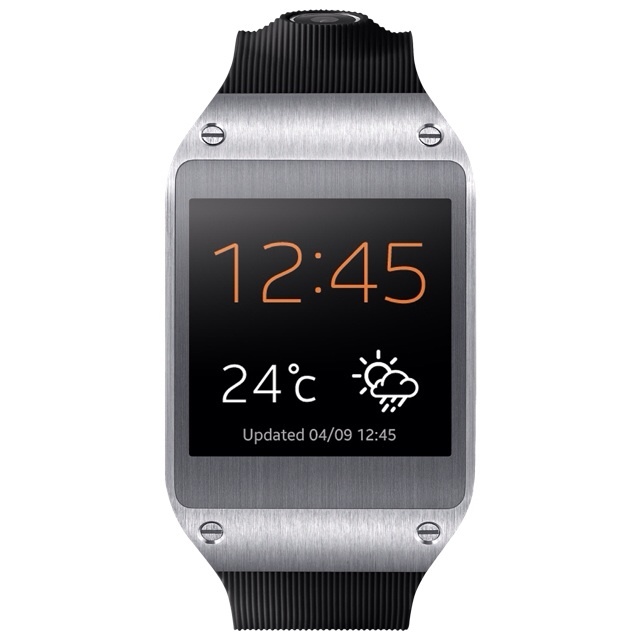 The device is also said to feature an OLED display; however, at this point it's unclear if it will be flexible.